I did a wee little bit of shopping on Thursday.. I also had some exciting items arrive in the mail that same day.. so basically Thursday was MY day. I figure I will share the fun items that I bought and leave the boring items (contact lens solution, deodorant, etc, out).. Shall we? 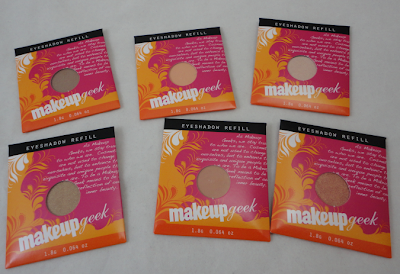 I came home from work on Thursday to see a little box waiting for me.. checked the sender.. it was from makeupgeek! eeee! I had been waiting a few moons these beauties to arrive.. 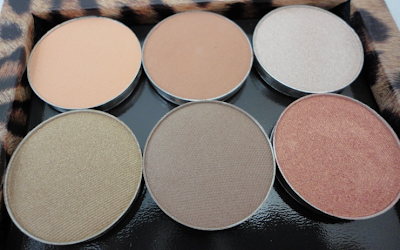 The eyeshadows I ordered (L-R starting at the top) are: Peach Smoothie, Creme Brulee, Shimma Shimma, Bleached Blonde, Hipster, and Cosmopolitan. Now, some of you avid readers are probably like 'you have a lot of eyeshadow.. surely you have millions of these colours!' True, but, I don't have them by this brand. Yes, I have a wealth of make-up.. but I always like to try different brands. Though I do think I can slooooow down on make-up buying for awhile. I really do have a lot to go through. 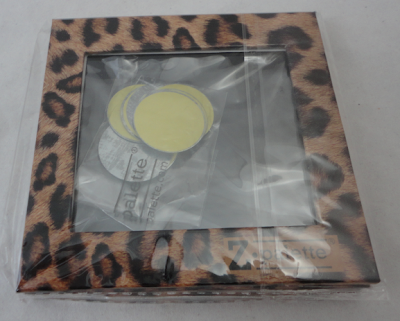 I was just really excited to try these gems out.. and the z palette is pretty adorable.. I ordered HERE. Then, later Thursday evening.. I went over to the mall.. I had stopped in during my lunch break with Yaz.. saw a couple of items I liked at Laundry and figured I could hit there and Target and call it a night. One of the shirts I wanted from Laundry I didn't end up getting (I didn't love it on me) but I did score some rad things! Yeah. 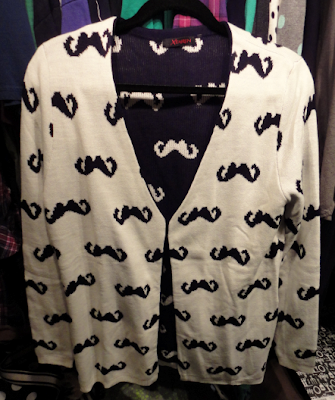 A mustache cardigan.. Kind of a big deal! It is lovvvely! 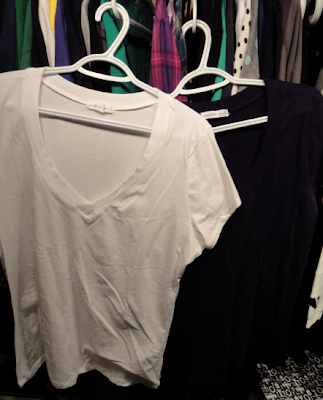 Then I grabbed two basic shirts - one in white and one in black. I really like the necklines on these gems. And they are super soft - very nice quality. I really do love that store. OH! And they now follow me on twitter.. I kind of had a heart attack when I saw that!! Again, if you're in Saskatoon.. Go check them out! There is a store in Centre Mall and one downtown!! Next stop: Target. There were some essentials I stopped in to get - again, boring stuff.. and I really needed another bottle of acetone, but they didn't have any.. so I decided to amble over to Shoppers (on the other side of the mall) - they also do not sell acetone. What?! Dumb. A Wal-Mart run will have to happen at some point.. Anyways. I will share my two "fun" purchases from Target and Shoppers. The primer was picked up at Shoppers. I have wanted it for awhile.. and it was safer to pick this gem up at Shoppers instead of Sephora.. and I also used some of my points towards it. Yay! I decided to give a primer a shot because lately my nose has been getting really oily (ew) during the day - I have never really had that happen to me before (or maybe I didn't really notice?!) Maybe this will help? Plus, the cap is adorable. I'm a polka dot fiend. The brushes I picked up from Target. I wanted some different brushes to have.. I have quite a few.. but I really wanted that angled face brush.. in case I want to try some slight face conturing from time to time.. Plus this set made more sense from a value point of view. Yup! That is all for meow - I hope you all had a great week - what are some of your purchases from the past week? ?